© 2002, © 2018 by Paul Freeman. Revised 4/14/18. 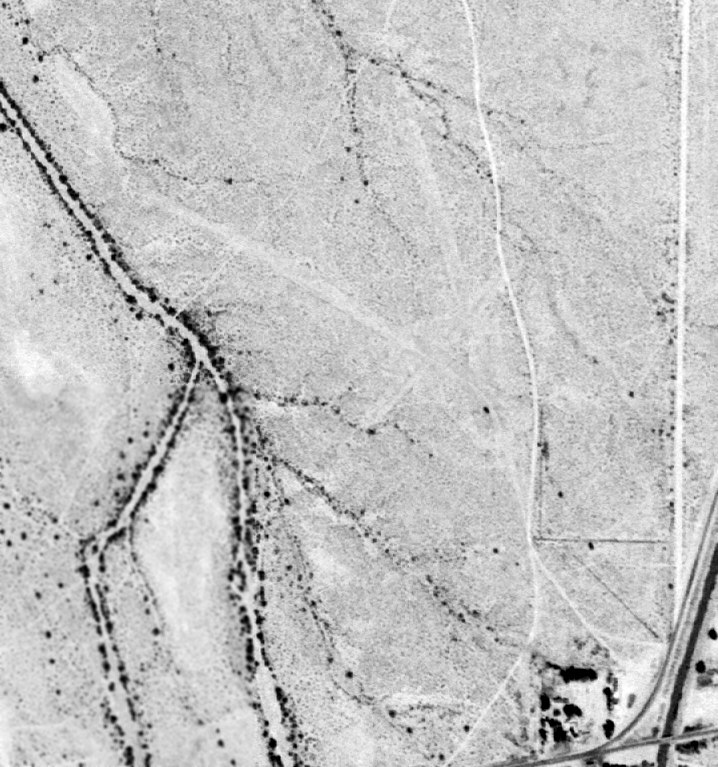 A 10/28/47 USGS aerial view of the original location of the Gila Bend Airport, on the northeast side of town. 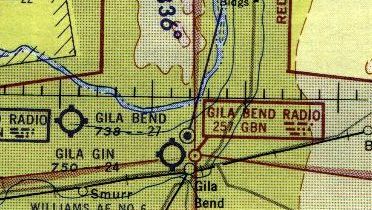 The original airport for the town of Gila Bend Airport was located northeast of the town. as it was not yet depicted on the 1945 Phoenix Sectional Chart (courtesy of John Voss). 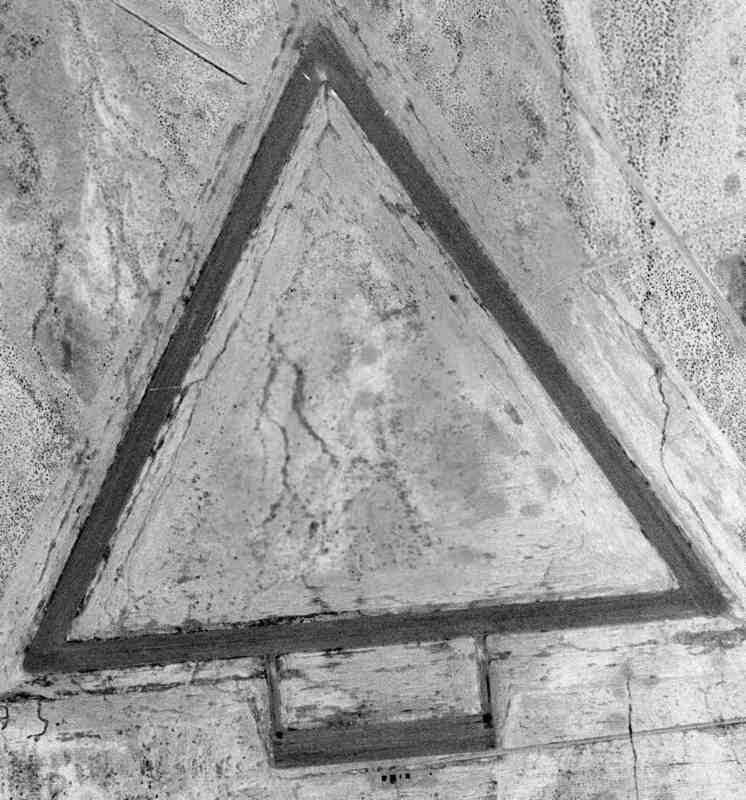 The earliest depiction which has been located of the Gila Bend Airport was a 10/28/47 USGS aerial photo. It depicted the field as having 3 very rough unpaved runways. There were no buildings or aircraft visible on the airport. 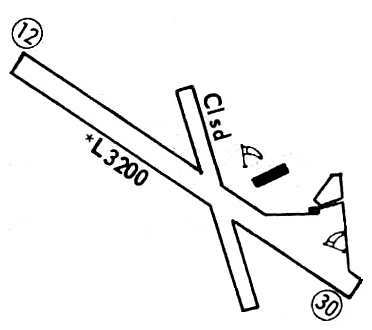 which depicted 3 runways on the northeast side of town labeled simply as “Airfield”. 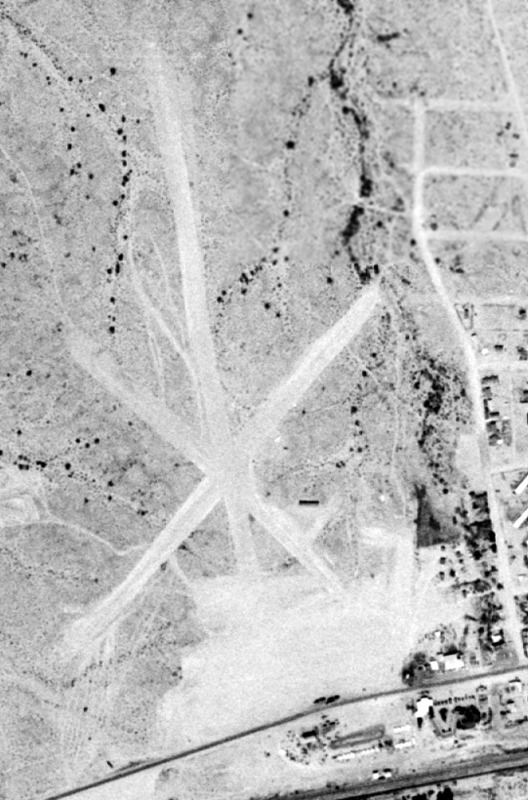 A 3/23/53 USGS aerial view of the original location of the Gila Bend Airport showed the 3 runways to be very deteriorated. 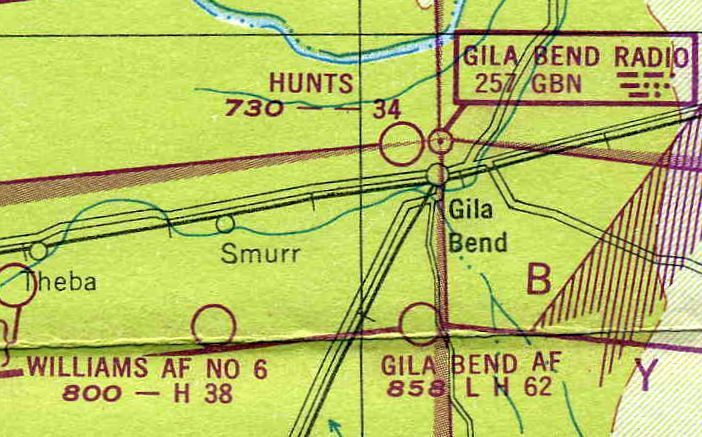 as the 1956 Phoenix Sectional Chart depicted the Gila Bend Airport to the northwest of the town (the location previously labeled as Hunts Airport). 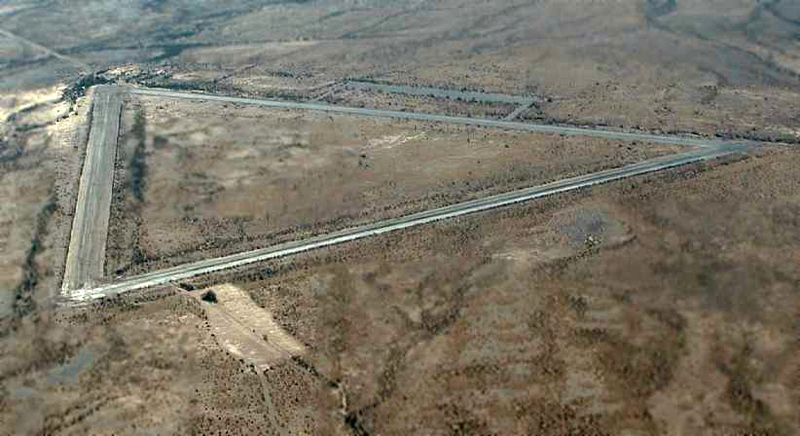 A 2014 aerial view showed Indian Road had been built heading west across the site of the original Gila Bend Airport. 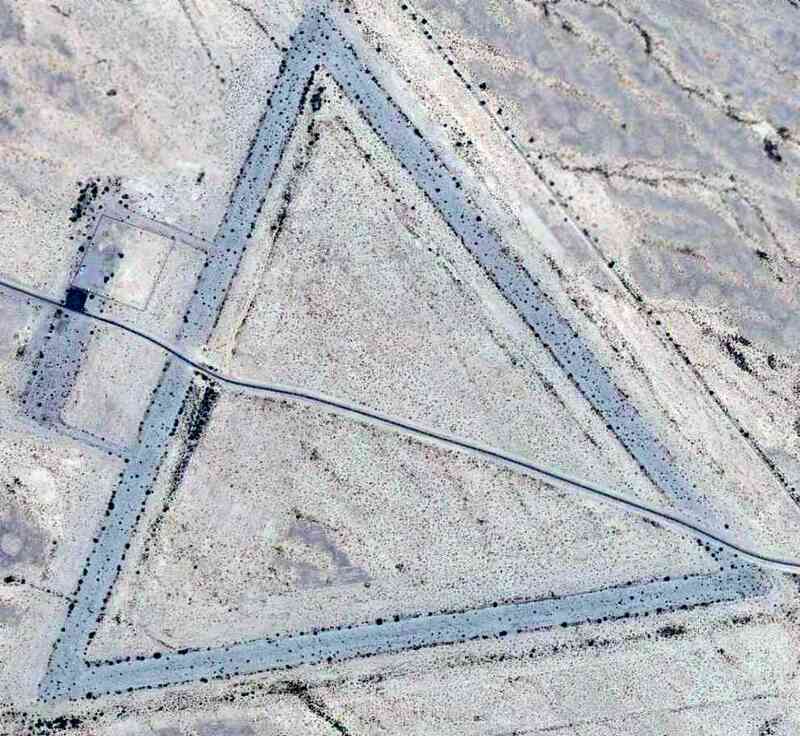 Although the site otherwise remained open desert, no traces of the 3 runways were still recognizable. 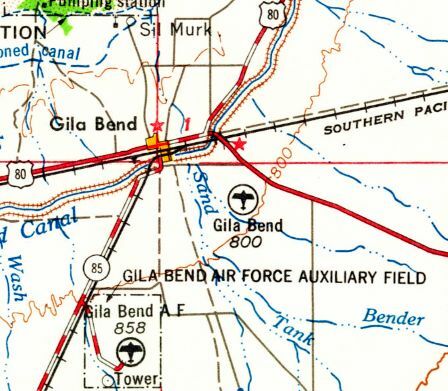 The site of the original Gila Bend Airport is located west of the intersection of Stout Road & Indian Road. Thanks to Mike Jamison for pointing out this airfield. 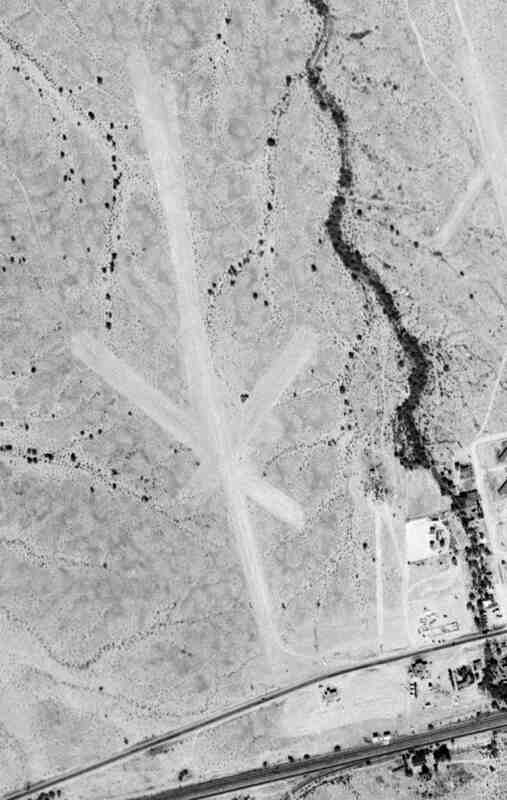 A 10/28/47 USGS aerial view of Hunts Airport, on the northwest side of the town of Gila Bend. 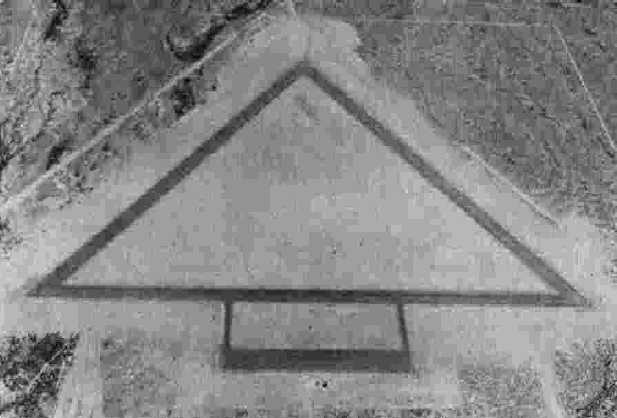 The earliest depiction which has been located of the Hunts Airport was a 10/28/47 USGS aerial photo. There was 1 T-hangar visible to the northeast of the runway intersection, but no aircraft were visible on the airport. 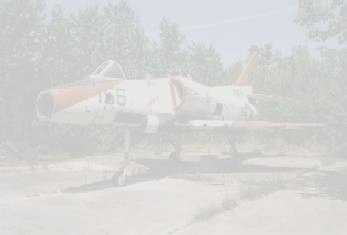 which depicted Hunts as having a 3,400' unpaved runway. which depicted 3 runways on the northwest side of town, and noted it as a private airfield. 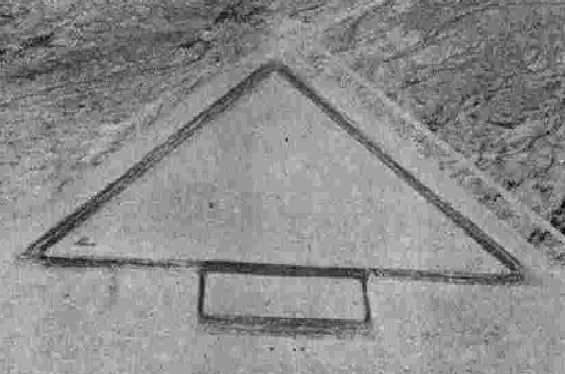 There was 1 small building depicted to the northeast of the runway intersection. 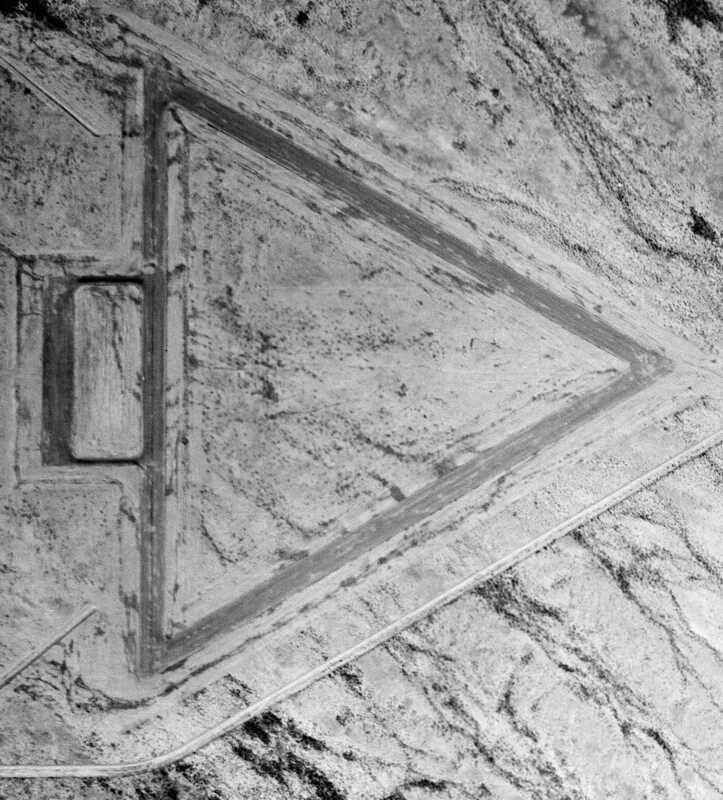 A 3/23/53 USGS aerial view of Hunts Airport showed the runway configuration remained the same as seen in 1949.
and 1 small building added to the east of the runway intersection. 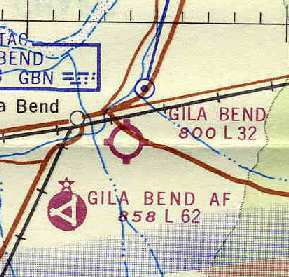 as that is how the airfield to the northwest of the town of Gila Bend was labeled on the 1956 Phoenix Sectional Chart. It depicted the Gila Bend Airport to the northwest as having a 2,700' unpaved runway. 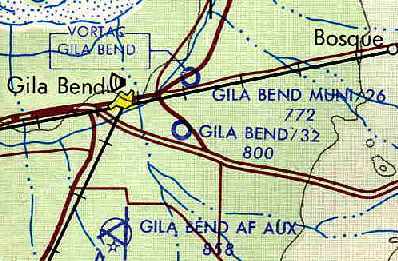 The last depiction which has been located of the 2nd location of Gila Bend Airport (to the northwest) was on the 1958 USGS topo map. 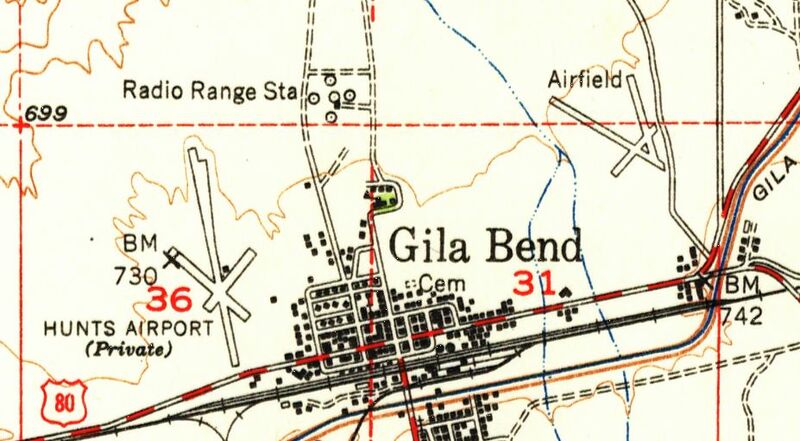 as the 1962 USGS topo map depicted the Gila Bend Airport in a new location to the southeast of the town. but the outline of several runways was stiill recognizable on the northwest portion. The site of Hunts Airport is located west of the intersection of Stout Road & Indian Road. 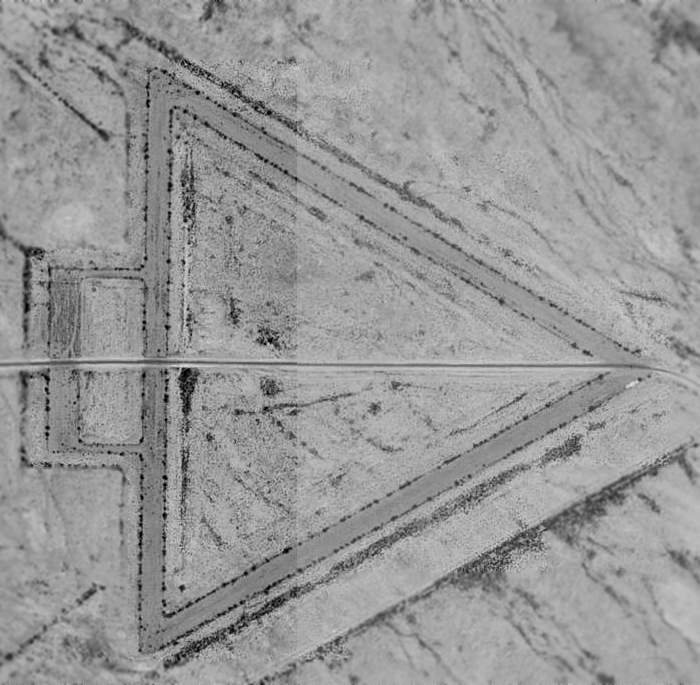 A 5/31/61 aerial view depicted the 3rd location of the Gila Bend Airport. was replaced by a 3rd location, southeast of the town. 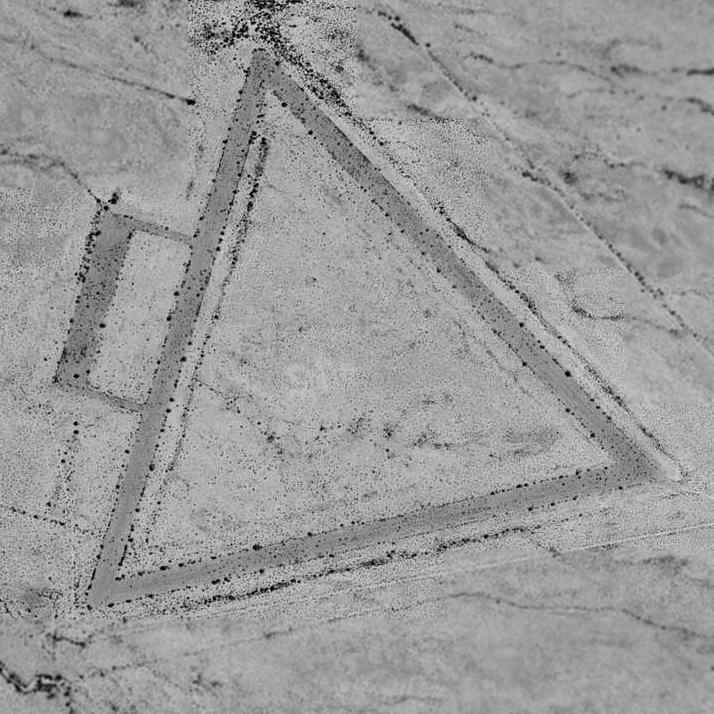 The earliest depiction which has been located of the 3rd location of the Gila Bend Airport was a 5/31/61 aerial photo. It depicted the field as having 2 unpaved runways, with a hangar & one single-engine aircraft on the east side. 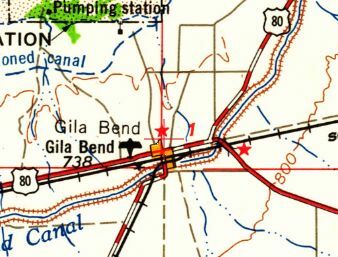 The earliest topo map depiction which has been located of the 3rd location of the Gila Bend Airport was on the 1962 USGS topo map. was on the 1964 Phoenix Sectional Chart (courtesy of Chris Kennedy). It described Gila Bend as having a 3,200' unpaved runway. as well as the new "Gila Bend Muni" Airport (northeast of the town). along with a single building (a hangar?) just northeast of the runway intersection. nor listed in the 1973 Flight Guide (courtesy of Fred Udall). with closed-runway "X" symbols still visible on both ends of the north/south runway. The remains of the foundation of the hangar still existed, just east of the runway intersection. with the closed-runway "X" symbol still barely recognizable on the south end of the shorter runway. This field is one of a string of WW2 AAF training airfields along Rt.85 between Gila Bend & Ajo. It was built during WW2 as one of a large number of satellite airfields for Ajo AAF & Gila Bend AAF. It is located just west of the still-operational Gila Bend Air Force Auxiliary Airfield. was a 6/23/43 aerial view looking north from the 1945 AAF Airfield Directory (courtesy of Scott Murdock). 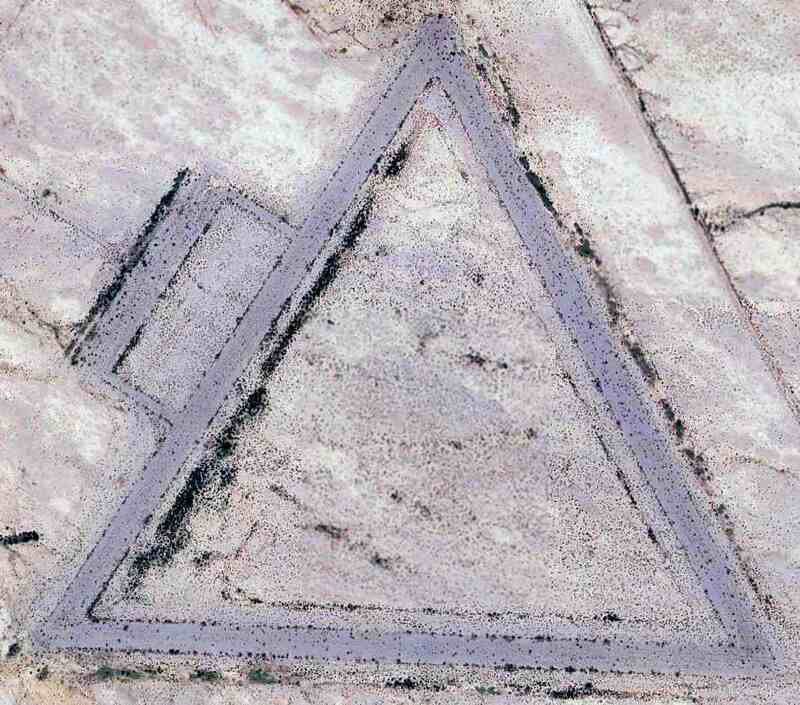 It depicted “Gila Bend AAF Auxiliary #6” as having 3 paved runways with a paved ramp on the south side. as a 640 acre square property having 3 bituminous 3,654' runways. which described the field as being unattended, and the longest runway as being 3,700'. 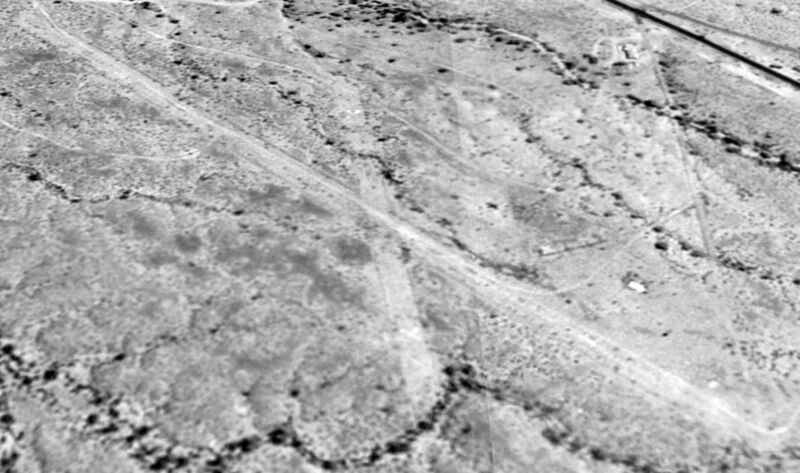 An 11/1/47 USGS aerial view depicted Gila Bend AAF Auxiliary #6 as intact but deteriorated, without any signs of recent use. was on the 1949 Phoenix Sectional Chart (courtesy of Chris Kennedy). It labeled the field as "Williams AF Aux #6". 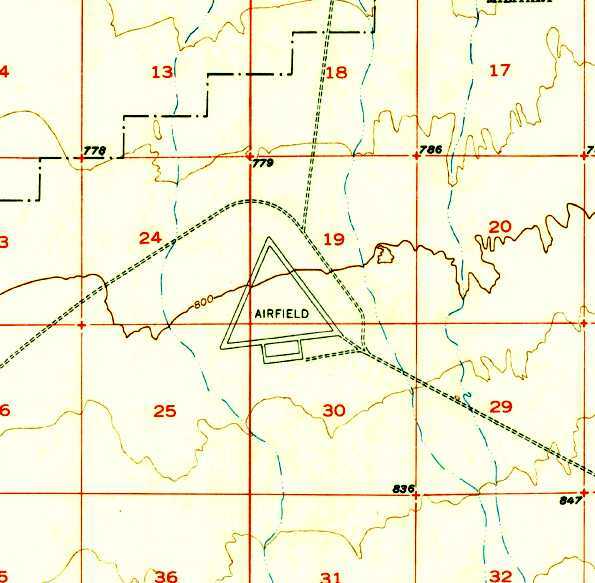 The 1950 USGS topo map depicted the 3 runways & ramp, labeled simply as "Airfield". 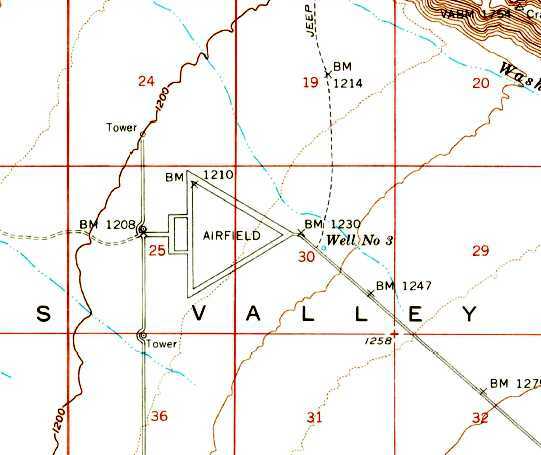 It was still depicted as an active Air Force field on the 1956 Phoenix Sectional Chart (courtesy of John Voss). It was depicted as "Williams AF #6" on the 1969 USGS topo map. 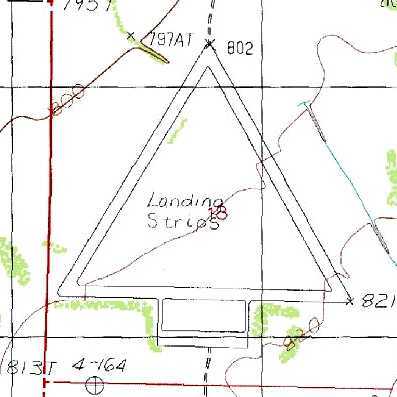 as it was labeled merely as “Landing Field” on the 1981 USGS topo map. labeled merely as “Landing Field”. The overall property was labeled as “Luke Air Force Range”. 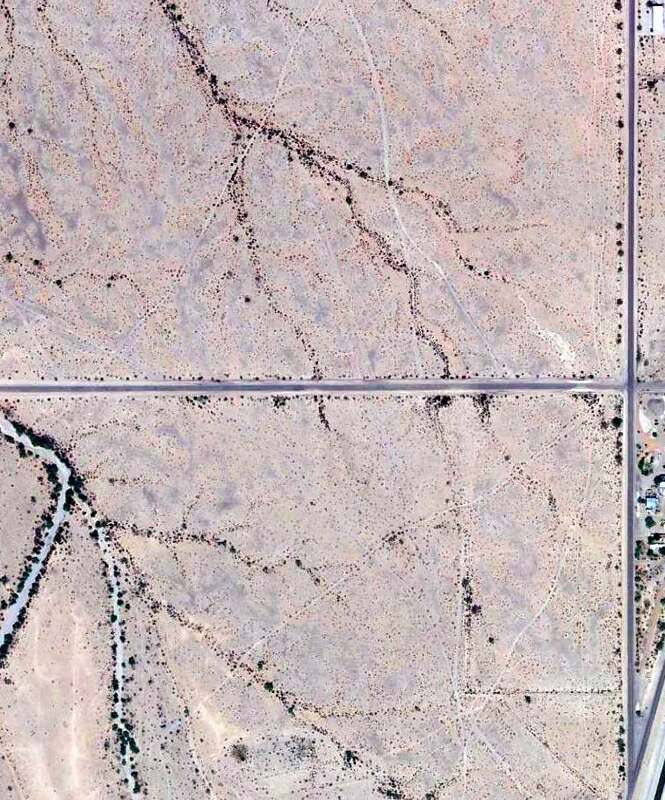 A 1996 USGS aerial view depicted Gila Bend AAF Auxiliary #6 as intact but deteriorated. 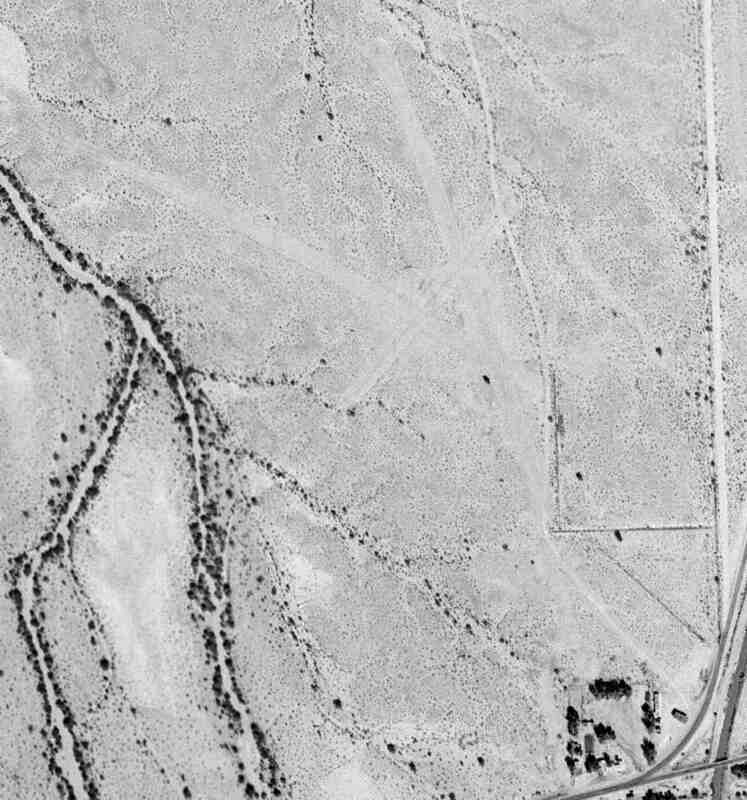 of the numerous former satellite airfields in the Gila Bend area over the 1992 USGS aerial photo. A February 2007 aerial view by Ken Calman, looking southeast at Williams Aux #6. The remains of the three 4,000' runways still existed, as well as the ramp area. this one is “the only one I know of that looks to be in such good condition, as if it's being used frequently. 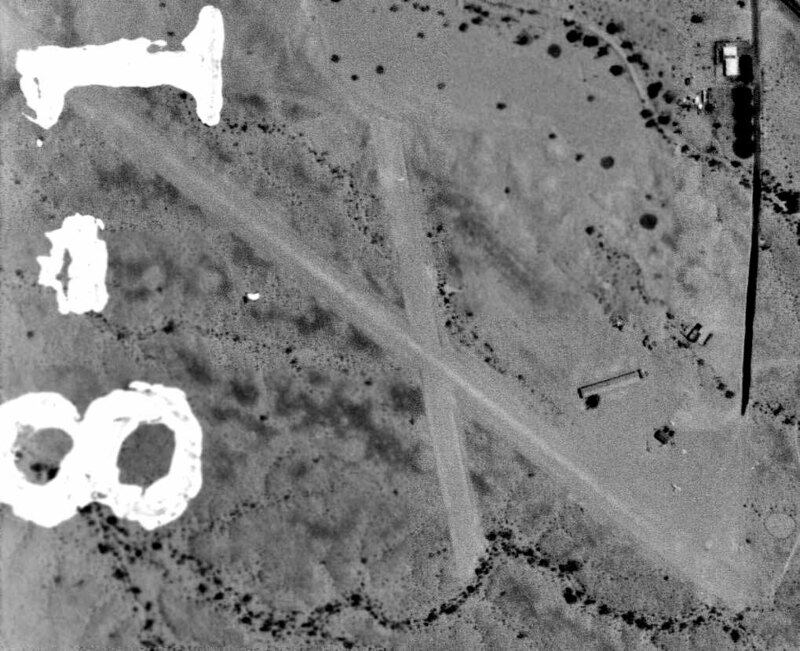 A 5/26/12 aerial view depicted Gila Bend AAF Auxiliary #6 as deteriorated but still remarkably intact for a 70 year old airfield. It is located southwest of the still-operational Gila Bend Air Force Auxiliary Airfield. 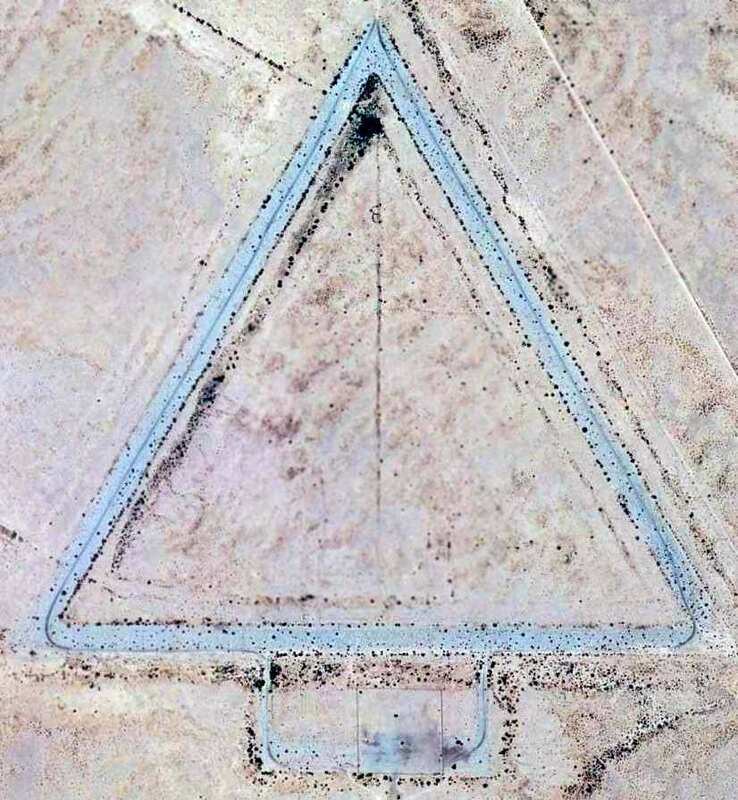 It depicted “Gila Bend AAF Auxiliary #5” as having 3 paved runways with a paved ramp on the south side. 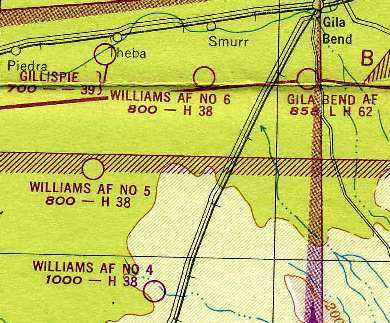 It was still depicted as an active Air Force Field, "Williams AF #5"
on the 1956 Phoenix Sectional Chart (courtesy of John Voss). 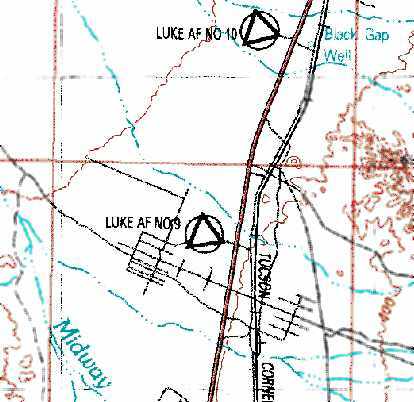 It was depicted as "Luke AF #11" on the 1969 USGS topo map. 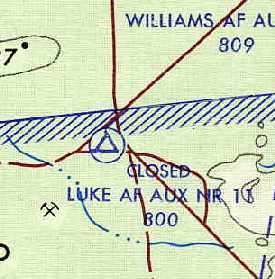 as it was labeled "Closed Luke AF Aux #11"
It was labeled merely as “Landing Field” on the 1981 USGS topo map. labeled merely as “Landing Strips”. 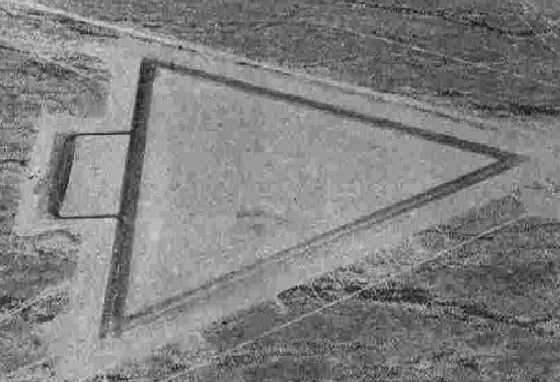 The 1996 USGS aerial photo showed the field remained intact. 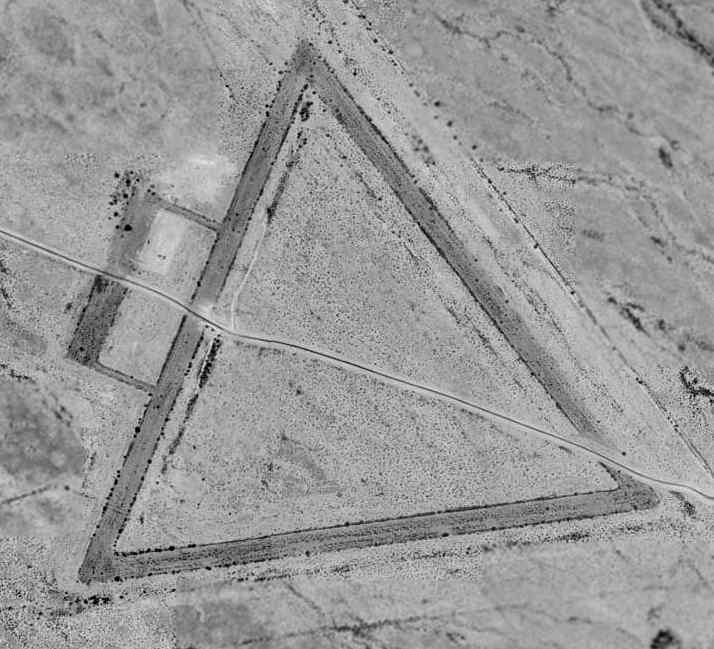 A 6/4/10 aerial view showed the remains of three 4,000' runways still existed at the site of Gila Bend Aux AAF #5. One of a string of WW2 AAF training airfields along Rt.85 between Gila Bend & Ajo. Built during WW2 as one of a large number of satellite airfields for Ajo AAF & Gila Bend AAF. was a 6/23/43 aerial view looking east from the 1945 AAF Airfield Directory (courtesy of Scott Murdock). 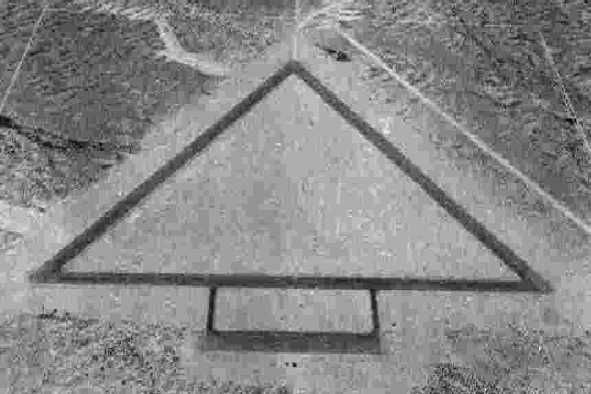 It depicted “Gila Bend AAF Auxiliary #4” as having 3 paved runways with a paved ramp on the west side. 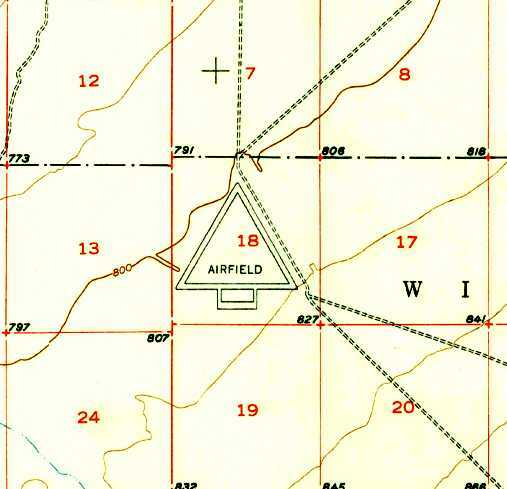 It was still depicted as an active Air Force Field, "Williams AF #4"
The 1958 USGS topo map depicted the 3 runways & ramp, labeled simply as "Airfield". 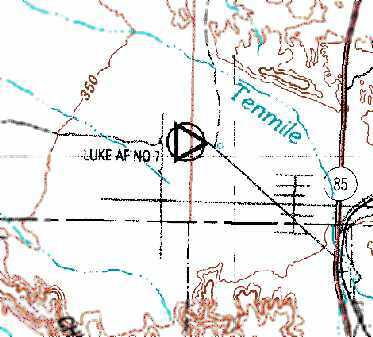 It was depicted as "Luke AF #10" on the 1969 USGS topo map. as it was labeled closed on the August 1971 USAF Tactical Pilotage Chart (courtesy of Chris Kennedy). 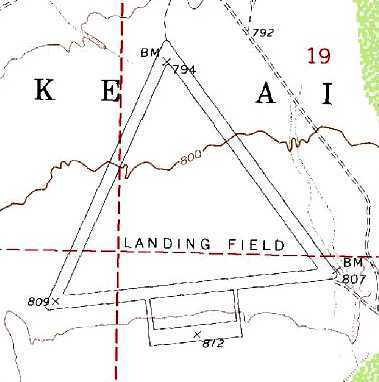 The 1981 USGS topo map still depicted the 3 runways, but labeled them simply as “Landing Field”. 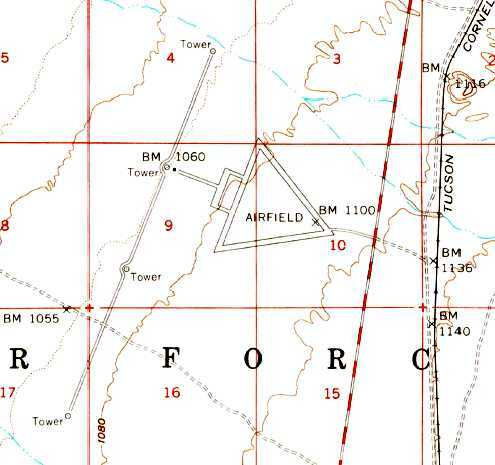 and the same topo map depicted some of the other nearby abandoned auxiliary airfields. the remains of three 4,000' runways still existed. A 5/26/12 aerial view showed Gila Bend Aux AAF #4 remained in the same condition. 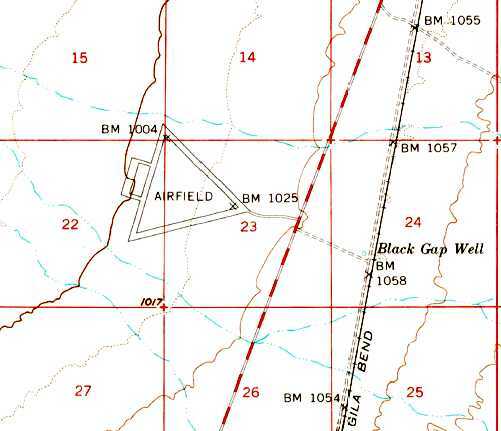 This airfield is one of a string of WW2 AAF training airfields along Rt.85 between Gila Bend & Ajo. 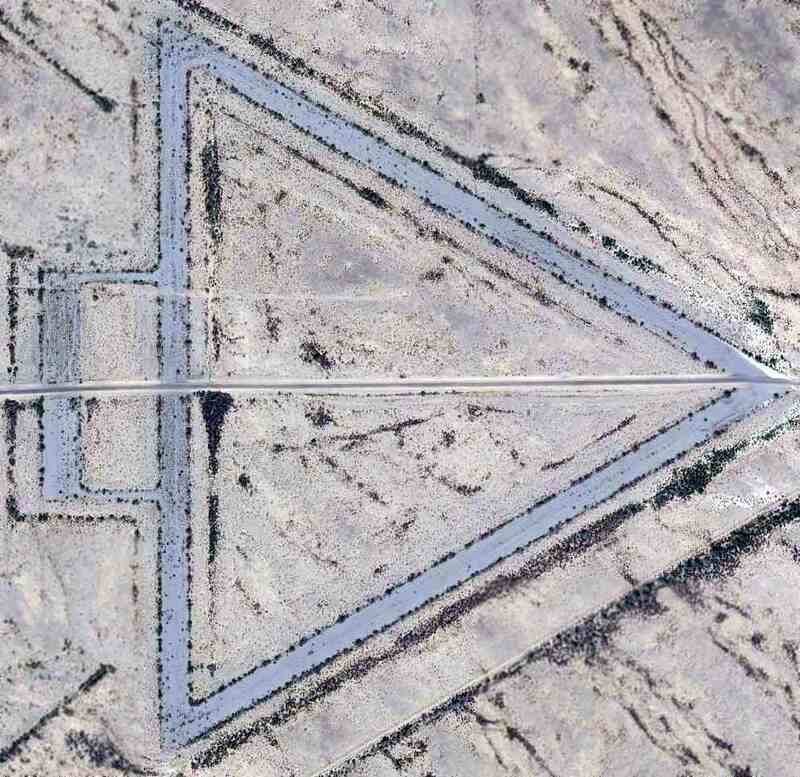 It depicted “Ajo AAF Auxiliary (Luke Landing Field #3)” as having 3 paved runways with a paved ramp on the west side. 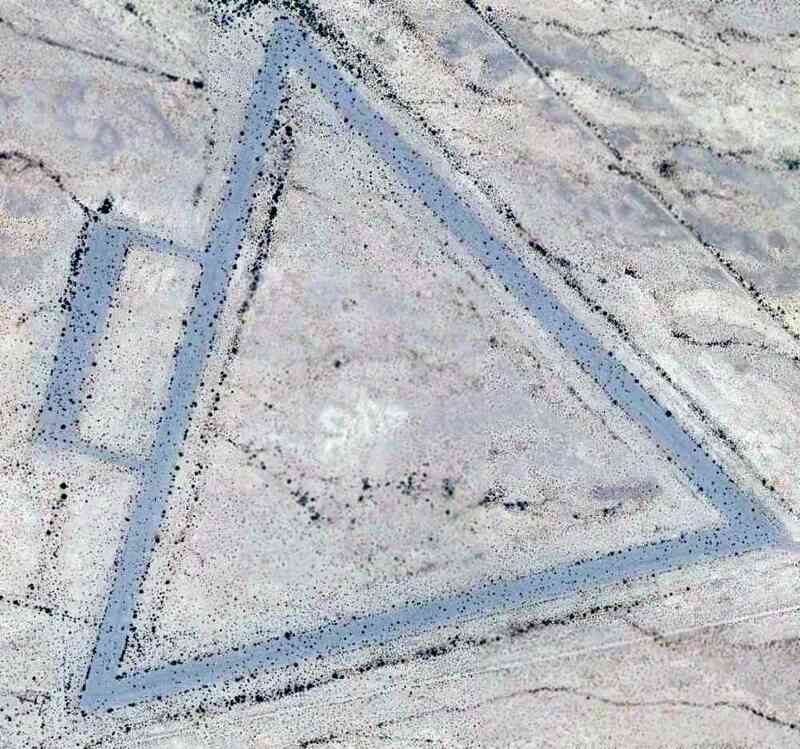 as a 600 acre triangular property having 3 bituminous 3,650' runways. which described the longest runway as 3,700', and being unattended. 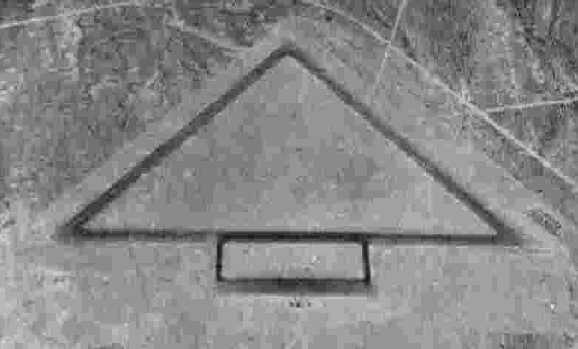 It was still depicted as an active Air Force Field, "Williams AF #3"
as well as the bomb scoring towers adjacent to the west. 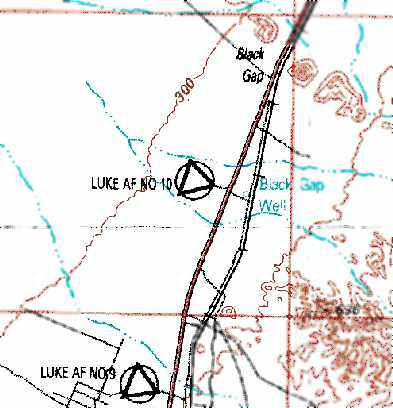 It was depicted as "Luke AF #9" on the 1969 USGS topo map. 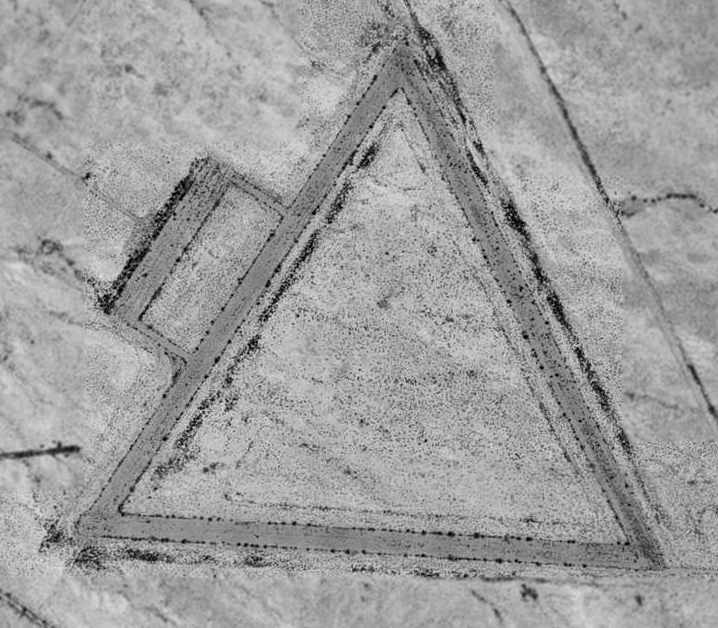 A 1997 aerial view by Steve Hoza, looking west at Ajo Aux #3 / Luke Aux #9. The photo is courtesy of Steve Hoza, from the book "Best Place in the Country", by Mike & Steve Hoza. and a road leading to the targets bisected the airfield. The targets are reportedly still used by fighters from Luke AFB. 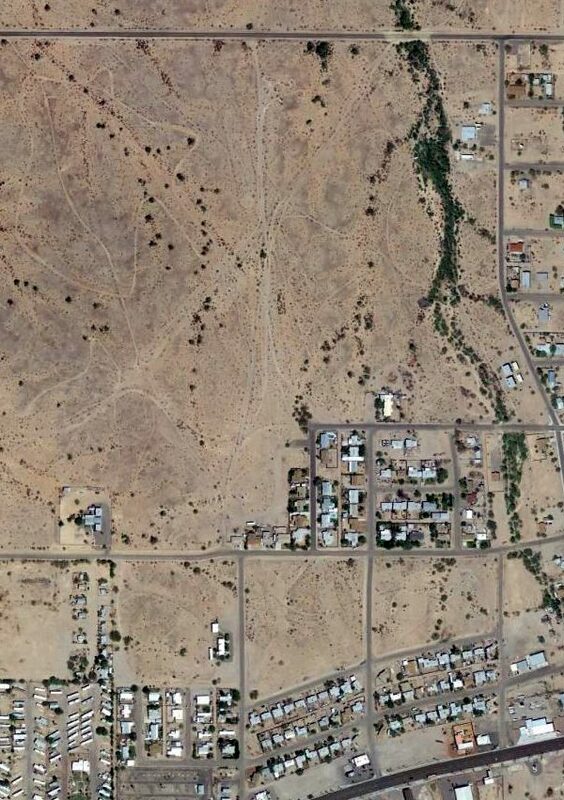 A 5/26/12 aerial view showed Ajo Aux AAF #3 remained in the same condition. 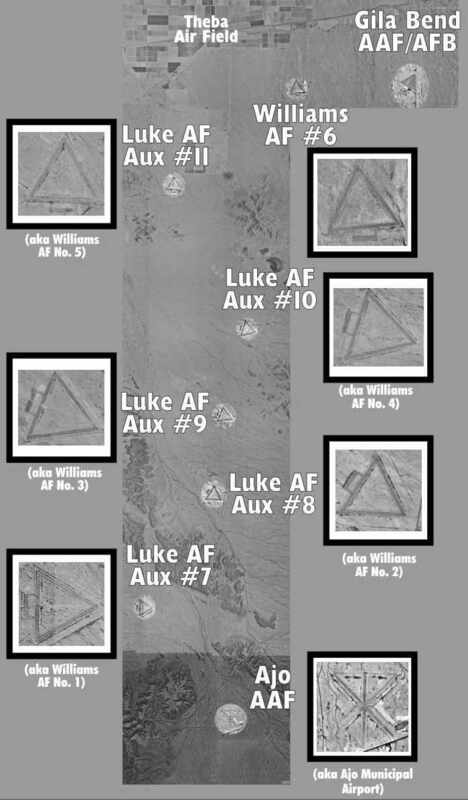 It depicted “Ajo AAF Auxiliary (Luke Landing Field #2)” as having 3 paved runways with a paved ramp on the northwest side. as a 600 acre rectangular property having 3 bituminous 3,650' runways. It labeled the field as "Williams AF Aux #2". 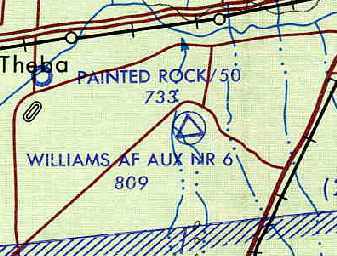 It was still depicted as an active Air Force Field, "Williams AF #2"
It is depicted as "Luke AF #8" on the 1969 USGS topo map. 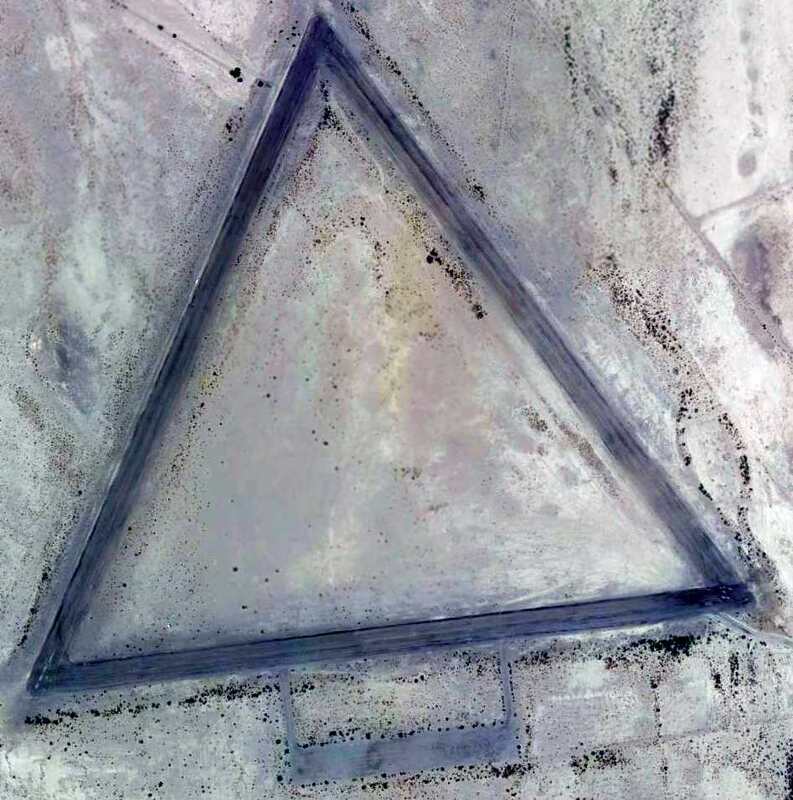 As seen in the 1996 USGS aerial photo, the remains of three 4,000' runways still existed. A 10/12/13 aerial view showed Ajo Aux AAF #2 remained in the same condition. 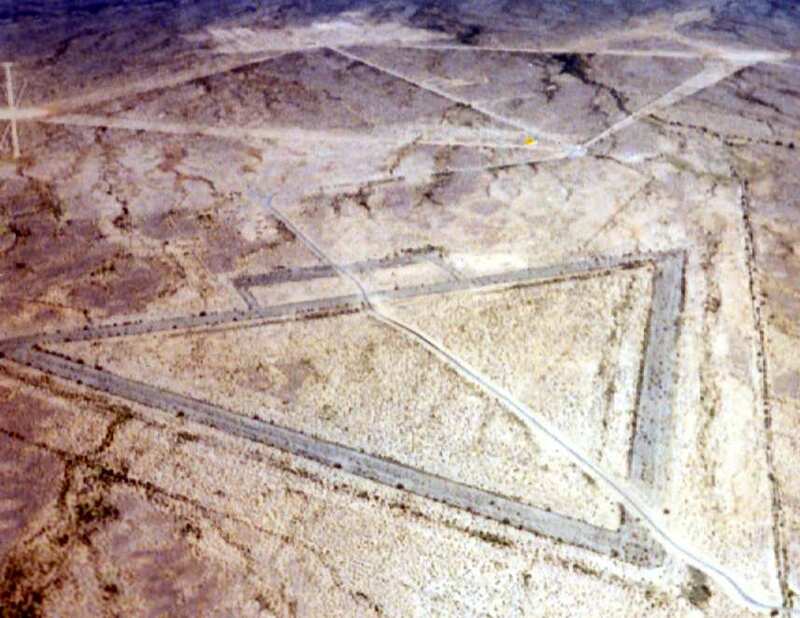 It depicted “Ajo AAF Auxiliary (Luke Landing Field #1)” as having 3 paved runways with a paved ramp on the west side. which described the field as being unattended, and the longest runway as 4,000'. An 11/24/47 USGS aerial view depicted Luke AAF Auxiliary #7 as having 3 asphalt runways, with an asphalt ramp on the west side. The field appeared abandoned, with no sign of recent use. 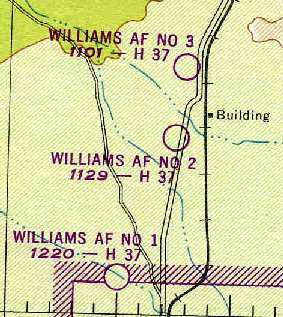 It was still depicted as an active Air Force Field, "Williams AF #1"
“Luke AF #7”, as depicted on the 1969 USGS topo map. 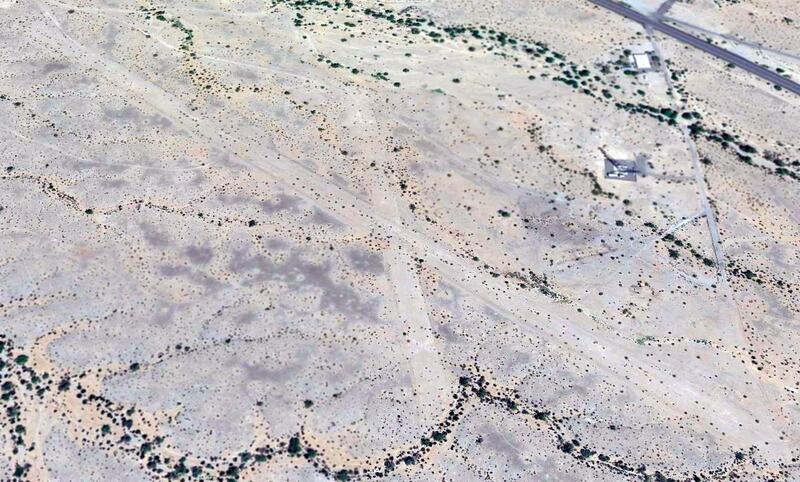 A 10/12/13 aerial view showed Ajo Aux AAF #1 remained in the same condition. 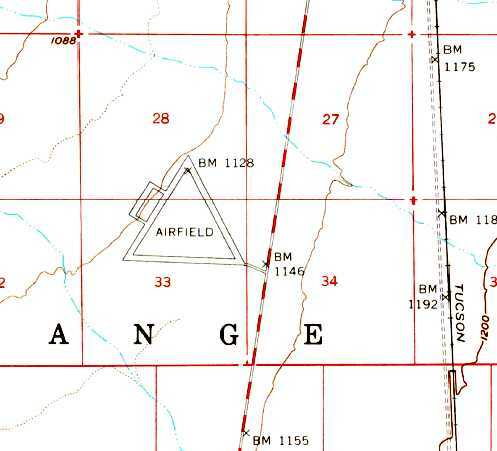 The site of Ajo Aux AAF #1 is located three miles west of Route 85, 11 miles north-northwest of Ajo, AZ.